Angie in T.O. 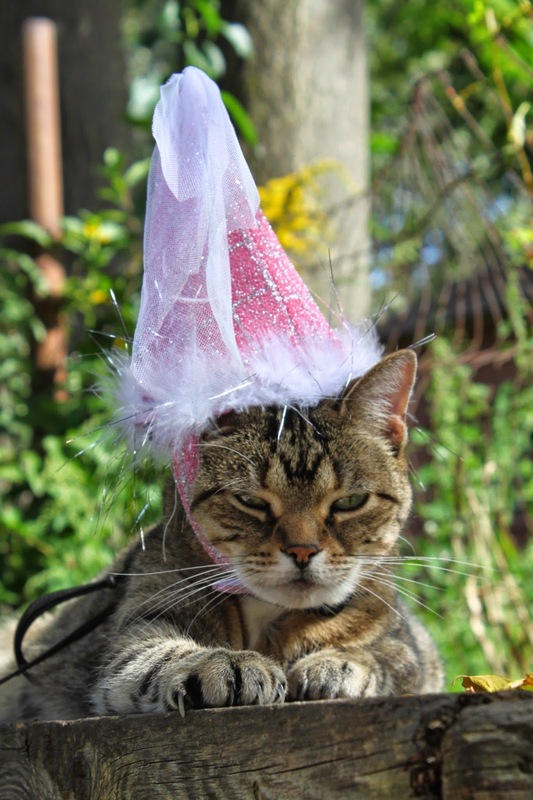 : PRINCESS GRUMPY WINS A PRIZE! 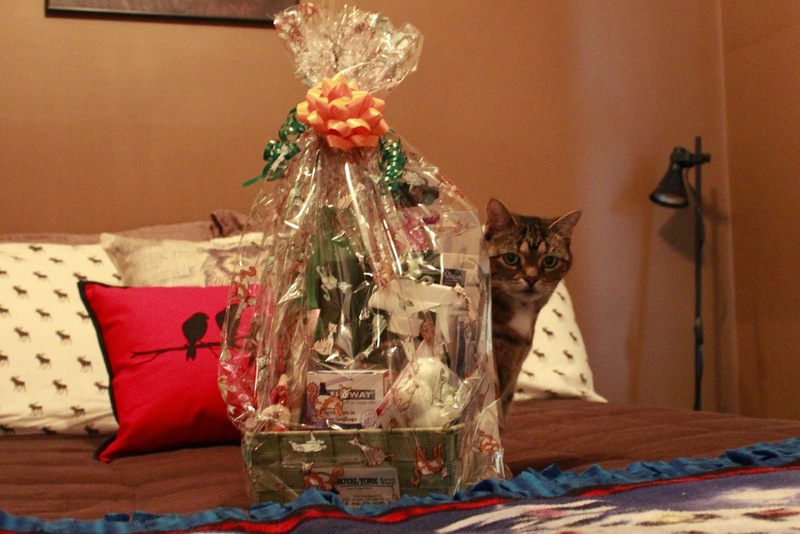 Meadow checking out her prize basket. Our veterinary clinic, Royal York Animal Hospital, ran a Halloween photo contest this year on their Facebook page. Customers were asked to post a pic of their pet dressed up and the top two dog and cat pictures with the most "Likes" won a gift basket. I decided to enter a photo of Meadow and put the call out to our Facebook friends to vote. I knew right away that I wanted to donate the prize if we won, to Toronto Cat Rescue, an organization that a dear friend is quite involved with that helps find homes for rescued cats. Meadow is pretty well taken care of (spoiled rotten), and being able to donate the gift basket to a worthy cause feels great. 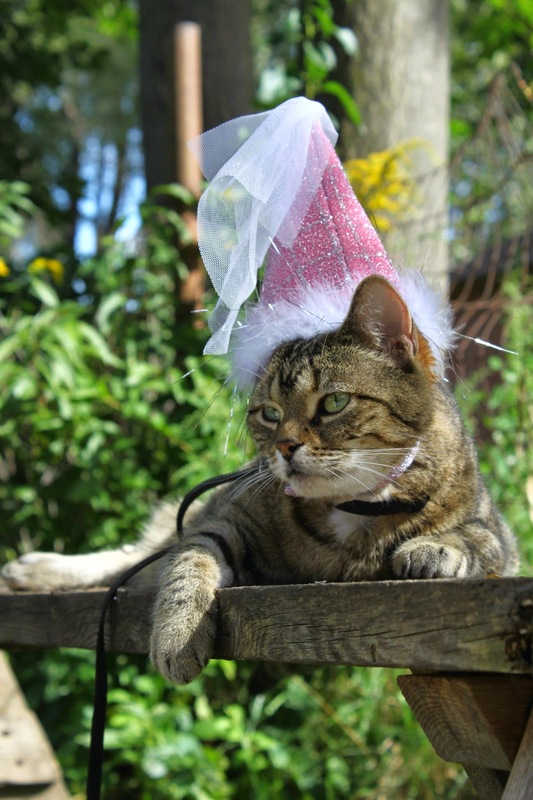 "Princess Grumpy", the winning entry.